Author: Cohen, Paula Set In . . . It is a truth universally acknowledged that a nice Jewish widower must be in want of a wife. Jane Austen centered her classic novels around "three or four families in a country village." 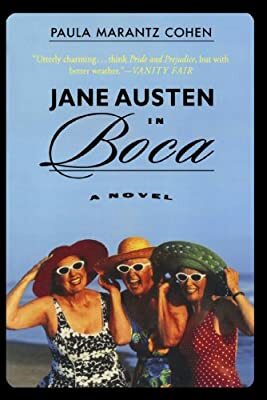 So does Paula Marantz Cohen in this witty twist on Pride and Prejudice---except this time the "village" is Boca Raton, Florida. Eligible men are scarce in Boca. When good-hearted meddler Carol Newman learns that the wealthy and personable Norman Grafstein has lost his wife, she resolves to marry him off to her lonely mother-in-law, May. Even May's sharp-tongued friend Flo approves of Norman---although Norman's best friend Stan, a cynical professor, keeps getting under Flo's skin. Will May and Norman eventually find happiness? Will Flo succumb to the charms of the suavely cosmopolitan Mel Shirmer? Misunderstandings abound until love conquers both pride and prejudice in this perceptive, engaging comedy of manners. Complications and misunderstandings abound in this romantic and perceptive comedy of manners.